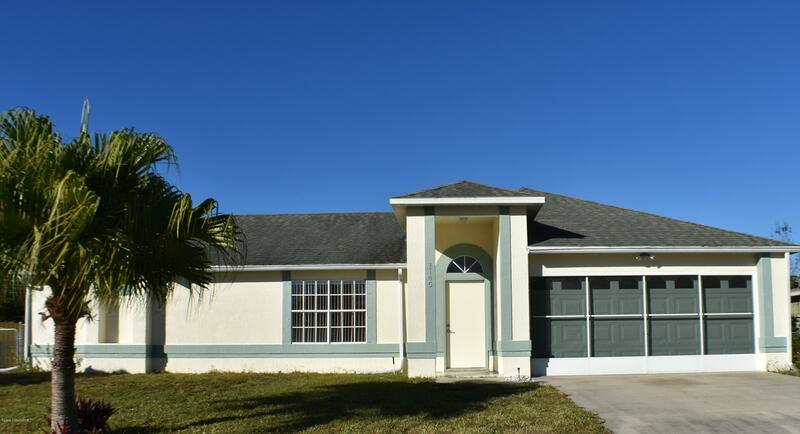 Don't miss out on this 1715 square foot 3 bedroom, 2 bath split plan home in a desirable NW Palm Bay neighborhood. The kitchen separates a formal living and dining room from a family room and breakfast area brightened by a skylight. Enjoy your morning coffee on the over-sized enclosed porch. 2 car garage includes a screen door. Large fenced-in back yard with your very own orange tree. Washer & Dryer included. New A/C 2018, whole house re-plumbed 2017. All this and on City Water! Close to shopping and restaurants. Call for a showing today!